This fall will bring rare releases from some of music’s most revered stars. 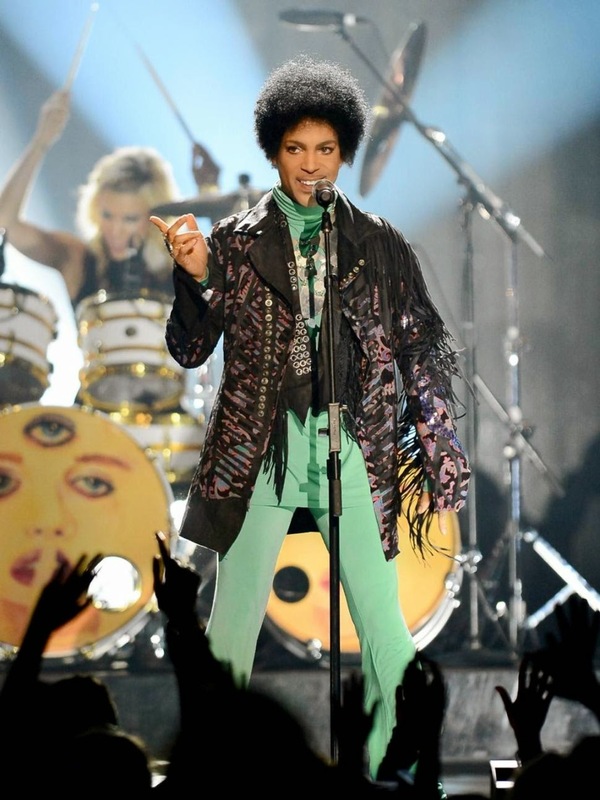 Prince plans to issue his first new music in over four years, as will singer Annie Lennox, who’s been absent just as long. Likewise, Bob Seger will unveil his first fresh music in eight years. Not to be outdone, Pink Floyd will put out their first unheard songs in a full two decades. Best — and rarest — of all, Bob Dylan will unpry from the vaults songs he cut back in 1967 for his “Basement Tapes” sessions with The Band. Amassed in a six-CD set, the album will include 30 never-before unveiled compositions. The coming windfall of album releases will hardly confine itself to boomer-bait. Stars with as much vim as Taylor Swift, Charli XCX and Nicki Minaj will also put out fresh work this fall. Tony Bennett & Lady Gaga, “Cheek To Cheek.” Two New Yorkers — separated by six decades — duet on American jazz standards. Gary Clarke Jr., “Gary Clarke Jr. Live.” The scorching blues guitarist captured in his best forum — in concert. Jennifer Hudson, “JHUD.” Hudson’s latest work features some ’70s retro nods, aided by producer Pharrell. John Mellencamp, “Plain Spoken.” The former Mr. Cougar’s first album in four years, it follows the Americana pattern of his last one. Both were produced by T-Bone Burnett. Tweedy, “Sukierae.” The first-ever “solo” album from Wilco’s leader, recorded with help from his teenage son. Robin Gibb, “50 St. Catherine Drive.” The final work from the late Bee Gees singer. Lady Antebellum, “74.” Another offering from the uber-bland country hit-makers. Lucinda Williams, “Down Where The Spirit Meets The Bone.” A double album from the queen of Americana. Jason Aldean, “Old Boots, New Dirt.” One of Nashville’s biggest sellers returns with his sure-to-score 6th work. Johnny Marr, “Playland.” The second solo album from the guitarist of the legendary Smiths. Stevie Nicks, “24 Karat Gold: Songs From the Vault.” Nicks’ new release pieces together sonic strays the witchy woman wrote, but never released, over the last 30 years. Florida Georgia Line, “Anything Goes.” The second album from the macho country-rap duo, following up their huge breakthrough last year. Diana Krall, “Wallflower.” The jazz chanteuse records songs from the ’60s on, including “Desperado,” “California Dreamin’” and more. Annie Lennox, “Nostalgia.” True to its title, Lennox’s new album finds her covering the American standards. Thurston Moore Band, “The Best Day.” The debut of a new group from the Sonic Youth mainstay. The Flaming Lips, “With A Little Help From My Friends.” A song-by-song recasting of the Beatles’ “Sgt. Pepper,” featuring a cameo from — of all people — Miley Cyrus. Lil Wayne, “Tha Carter V.” The fifth in the series from the New Orleans rapper. Jerry Lee Lewis, “Rock n Roll Time.” For this disc, The Killer recorded duets with Keith Richards, Ron Wood, Neil Young, Shelby Lynne and other legends. Taylor Swift, “1989.” Finally cutting off all ties to country, Swift goes 100% pop on an album titled for the year of her birth. Bob Dylan, “Bootleg Series, The Basement Tapes.” A greatly expanded, 6-CD elaboration of the Rosetta stone of rock — Dylan’s first recordings with The Band, cut at Big Pink, in upstate New York in 1967. Foo Fighters, “Sonic Highways.” The band’s eighth album shares a title with an HBO special, directed by lead Foo Dave Grohl, but little else. Pink Floyd, “The Endless River.” Built around songs recorded, but discarded, from the final Floyd album, 1994’s “The Division Bell.” The “new” Floyd album has no input from the band’s most talented member, Roger Waters. Nicki Minaj, “The Pink Print.” The third work from the queen of contemporary hip-hop. Emimem, “Shady XV.” A greatest-hits double set from the Detroit rapper, featuring several new songs for bait. Other stars who may release music this fall in a Beyonce-style blitz by year’s end include Madonna, Adele, Kanye West and U2. Cher at Nassau Coliseum Sept. 22. Black Keys Barclays Sept. 23 and 24.Iggy Azalea Pier 97 Sept. 26th. Robert Plant BAM Sept. 27. Global Citizen’s Fest with Jay Z Central Park Sept. 27th. Bryan Ferry The Beacon Oct. 1.Fleetwood Mac at The Garden Oct 6, 7. Def Jam’s 30th Anniversary Concert at Barclays Oct. 16. Allman Brothers final run of shows ever at The Beacon Oct. 21, 22, 24, 25, 27, 28. And the Culture Club reunion The Beacon Nov. 25, 26.